Very few tickets left. Buy here. Teo Milea is a modern classical pianist and composer who brings dozens of colors to the audience through his music. The energy bursting out of his piano paints souls, fills the emptiness and brings smiles. After performing all over Europe, Teo Milea has relocated to Toronto, ON. He is looking forward to introducing his works to the new public and prove that music is an international language. Music is a cure for the soul! 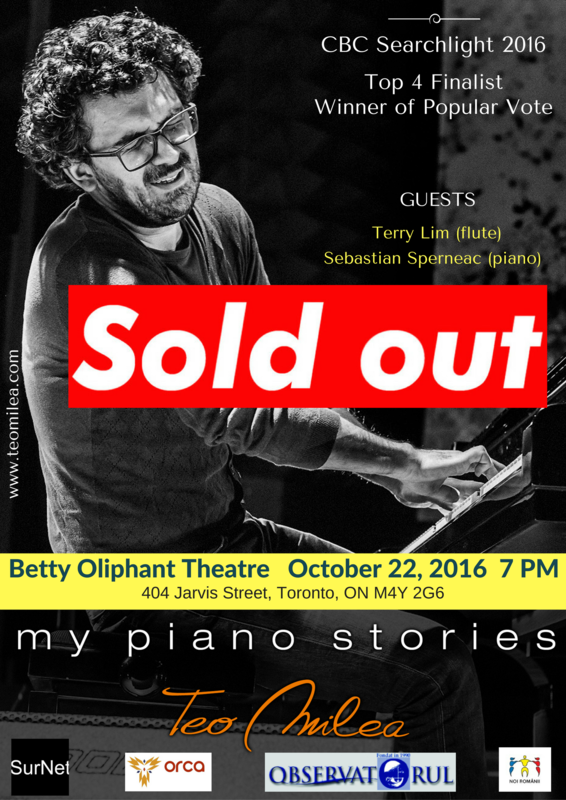 Posted in English blog and tagged as CBC Searchlight, featured, live, music, piano, Sebastian Spearneac, teo milea, Terry Lim, Toronto.